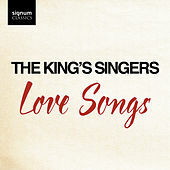 The King's Singers grew out of a group of choral scholars at King's College in Cambridge, England, in 1965. After a copy of their one-off joke album fell into the right hands and a concert was arranged, the Singers realized they had a potential moneymaker on their hands. They parlayed that success into more concerts and a record deal with EMI. Their approach? "Nothing that could be sung in six parts was ignored," the Singers have said. 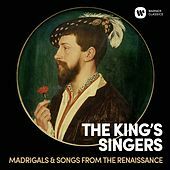 Their repertoire mingles traditional choral music with Beatles arrangements; the group has even covered the Beach Boys and Simon & Garfunkle, and their classical choral work can also be stunning. As for their pop music, listen for yourself and decide if, in their words, "vocal music...can be enjoyed rather than endured." Although none of the original members are with the group now, the Singers have enjoyed considerable stability: two original members sang with the band for 25 years.